Well this weekend marks a special centenary in Ireland. I was lucky enough to live in an area of Dublin that was steeped in the history and the stories of that momentous time in Irish history. Below is an an article written for me by Wesley Bourke, the editor of Ireland’s only Military History magazine, Reveille, Telling Ireland’s Military Story. I have known Wesley for over 15 years, working with him during our time in the Irish Defence Forces as photographer and journalist together in the Press Office. We started Reveille together and even though I am here in the States, I still help him out as much as I can, isn’t the internet a great thing. Wes traveled over to America last December to honour me by being my best man at my wedding to Leanne, I was delighted that he was able to take time out from running the magazine to join us on our special day and to stand by my side. This weekend marks the centenary of the 1916 Easter Rebellion in Ireland. There is no doubt that this was a complex time in Ireland. Ideas such as nationalism, unionism, republicanism, socialism, home rule or a republic, women and labour rights were highly debated and spoken of. In parallel to the home front tens of thousands of Irish men and women were serving, primarily in the British Army, in the battlefields, hospitals and factories of the First World War. The rebellion that took place in Ireland during Easter Week 1916 effected many parts of the country. Caught up in this insurrection were Irish men and women on both sides. 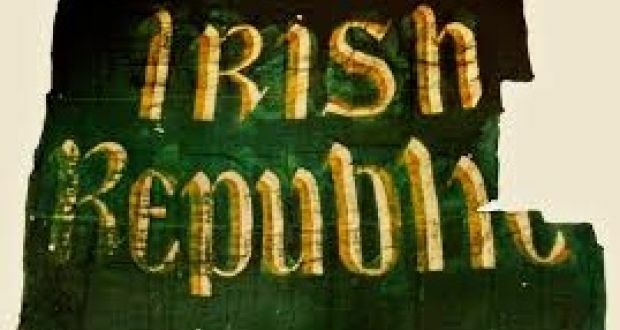 These included the various rebel organisations including the; Irish Republican Brotherhood, Irish Volunteers, Cumann na mBan, Hibernian Rifles and the Irish Citizen Army, but also those in the; National Volunteers, British Army, Dublin Metropolitan Police, and the Royal Irish Constabulary. As the Rebel Army rose up proclaiming an Irish Republic the crown forces responded resulting in armed engagements between both sides. Taking no side and giving assistance and aid when they could were the members of the St. John Ambulance and Dublin Fire Department, their story gives another aspect to the rebellion that has all but been forgotten. Why the Rebellion or Rising as it is commonly known today, took place when it did continues to be heavily debated to this day. By the outbreak of the Great War the secret Irish Republican Brotherhood who had evolved from the Fenian Brotherhood, had reorganised and were rejuvenated by the arrival home of Thomas Clarke and new younger members such as Bulmer Hobson. The Brotherhood, like their Fenian brethren, supported armed struggle for an independent Ireland. They now wanted to use the fact that Great Britain was caught up in war with Germany and Turkey to strike. Infiltrating Eoin MacNeil’s Irish Volunteers, men such as Patrick Pearse became very prominent in that organisation. 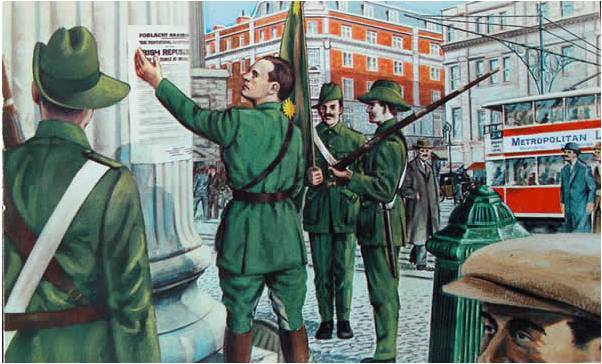 It was Pearse as Irish Volunteer Director of Operations who published orders in the papers for the Volunteers to mobilise on Easter Sunday. The Brotherhood also brought onboard James Connolly and his Irish Citizen Army. In tandem to the planning at home John Devoy, leader of the republican Clan na Gael in the United States, had sent Roger Casement to Germany to try and gain support for an Irish rebellion. Securing a shipment of arms Casement made his was back to Ireland with some 20,000 rifles due to land in the south coast of Ireland on Holy Thursday/Good Friday. Easter Sunday was chosen purely from a military point of view. It was deemed by the Military Council of the Irish Republican Brotherhood that as it was a holiday weekend most of the citizenry and authorities (police and military) would be at the horse races, cricket matches, or simple on leave. However as Eoin MacNeil was not aware of a planned rebellion when he did find out he sent out countermanding orders. Then when he was told of the shipment of arms due in Easter weekend he allowed his men to be mobilised. These orders and countermanding orders resulted in confusion all over Ireland. Some units mobilised and then went home, others stayed at home, while others carried on with whomever turned up. Although there were significant unrest in Wexford, Galway, Cork, Laois, and Louth it was the Dublin Brigade Irish Volunteers and the Irish Citizen Army who took the brunt of the fighting in Dublin City, north county Dublin and Ashbourne in Co. Meath. Some 1,000 plus Volunteers mobilised in 5 battalions in Dublin City and north Dublin on Easter Monday April 24th. These Volunteers were augmented by around 30 Hibernian Rifles and 200 members of the women’s auxiliary Cumann na mBan and the scouting movements Fianna Éireann and Clan na Gael. The General Post Office in Sackville Street (now O’Connell St.) was deemed the Rebel Army Headquarters. From the beginning it became very evident that the Rebels did not have enough men. Key positions such as Dublin Castle, Trinity College, Kingsbridge Railway Station, Broadstone Railway Station, the Customs House and the Docklands were not captured. Rebel efforts were also further hampered in part by the efforts of individual members from uniformed bodies such as; the Trinity Officer Cadets, the School of Musketry and Dublin Metropolitan Police. The British authorities reacted swiftly and decisively. Military and Royal Irish Constabulary forces were mobilised throughout Ireland and reinforcements immediately dispatched from Britain. Around the country rebel positions were isolated and contained. In Dublin as more reinforcements arrived the city was surrounded. The rebel positions were cut off from each other one by one. Isolated they were shelled by artillery and assaulted by infantry. Some of the heaviest fighting was in the area of Ballsbridge and Mount Street bridge. Here only a handful of Volunteers held of several battalions of British reinforcements. As Caulfield says in ‘Easter Rebellion’, ‘It was a sickening slaughter’. The 2/7th and 2/8th Battalions Sherwood Foresters had no information about the insurgents’ strengths opposing them, or indeed as to their exact locations. They blindly persisted in an expensive frontal assault to enter the city while some hundreds of yards away two clear undefended routes lay open. By mid week the city centre was heavily damaged and many buildings were alight. Looting was very prominent. Dublin Fire Brigade and St. John Ambulance did what they could to assist civilian, military and rebel alike, at times under heavy fire. By week’s end there was no option but to surrender. Why the Rebellion took place and why individual men fought did not really matter as they were marched into captivity. Little did they know at that time that a new chapter in Irish history was about to begin. I would like to thank Wesley for the article. I will post another few articles in relation to 1916 over the coming days.